to its visitors. 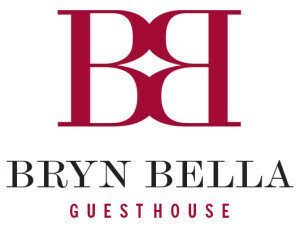 Situated in the heart of Snowdonia, it is a popular destination for weekend getaways to escape to the tranquillity of its undisturbed nature, or indeed to take on some of the more challenging terrain it has to offer. 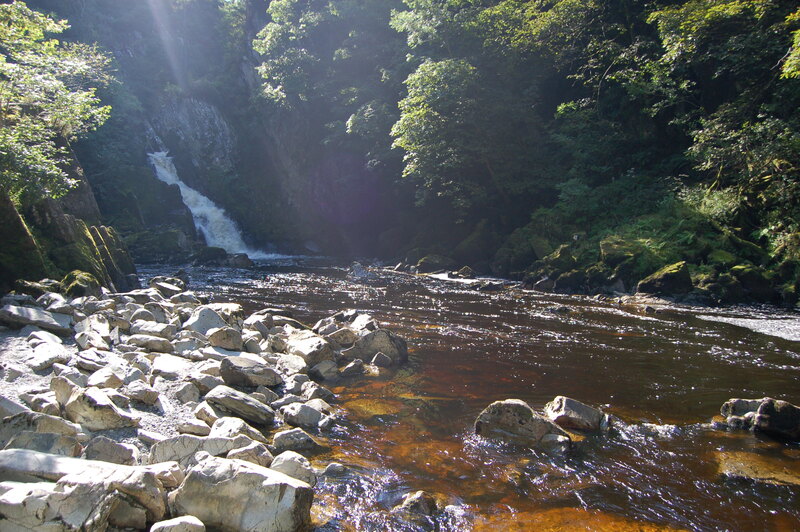 Not often can you find a single location where you can reach two extremes of therapy that Betws y Coed can offer and this is part of the reason why it has such appeal. The village offers no restrictions to a single activity, suitable for long walks, cycling, climbing, or of course a more favourable option for some, relaxing in front of the river banks you’re able to meet many desires of the heart. The Marin trail is only a short ride out of the village and certainly brings new meaning to biking. The 25 kilometre route is suited to the more ‘active visitor’ with the challenging route and out of the ordinary track. The single track through Gwydir Forest varies from rough and rocky to smooth open paths, with outstanding views along the way. The route will take you between two and four hours to complete and with its exhilarating terrain; it is considered a mountain biking heaven. Within the village of Betws is Beiciau Betws (Betws Bikes), a bike hire facility that has been established for 22 years. It hires out top of the range bikes to beginners and enthusiasts, designed for the Marin terrain so you are sure to get the best out of your experience. 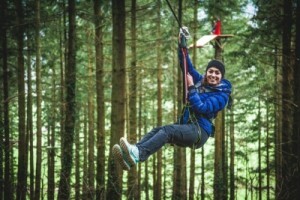 Zip World Fforest is also located just outside Betws y Coed, a fully equipped high ropes centre facilitating to customers of all ages. Since establishing in 2007 it has introduced new adventures including the ‘Tree Top Tower’ which offers the highest Powerfan plummet in the world (106ft), just to get your heart racing. Their high ropes course moves through over 30 obstacles including ‘balancing beams, zip wires, ropes bridges and parachute simulator’ to put your balance and skill to the test, whilst being attached to a safety line the entire time of course. For the little ones, a Junior Tree Trail has been created. Accompanied by an adult, children as young as four can playfully take part in the action; crossing several adorably named beams and lines with a full safety system. The high ropes centre also facilitates for team development courses, where individuals learn to work together to complete the course. The same centre offers more adventure activities in the way of water sports, climbing and abseiling. If heights aren’t really for you, you can still expect to see an action packed time in Betws-y-Coed with Canoeing, White Water Rafting and Coasteering. You are expected to visit the centre in Betws, pick up your specified kit and meet your allocated instructor, and then make your own way to the location or venue; a 5 to 30 minute drive away depending on your activity. When you’re there you’ll be given detailed instruction and advice which is catered to the needs of groups and individuals and then spend about half a day enjoying your activity. Just south of Betws-y-Coed, you will find Go Below, Underground Adventures. 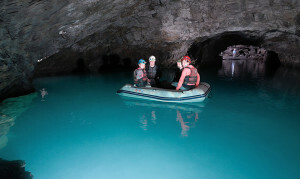 Go Below offer exciting half day adventures, which take you through some of Snowdonia’s caves, abandoned mines, and underground lakes. You will be challenged with zip lines, boating and climbing over fascinating obstacles; one of which being a waterfall. You will also see artefacts and be given information on the industrial history which shaped the environment in which you will be exploring. Go Below provides all safety equipment including harness, helmet, lamps and wellington boots and caters to both adults and children as young as ten years old. The underground adventure does not require you to be extremely fit and obstacles can indeed be bypassed. Group sizes are kept small so your time with Go Below is a more safe and personal experience. Go Below’s kit room is located right next to Conwy falls Cafe. This cafe prides itself on homemade, local and fresh produce. Also open some evenings on Fridays and Saturdays, the cafe hosts live music and pizza nights whilst also catering to group and business bookings. Now comes the best bit, to the rear of the cafe are acres of woodland leading down to Conwy Falls. Down at the falls you can often see salmon in August trying to make their way up the falls, and during the rest of the year you might just see an otter or crested newts, or maybe the adorable ducklings in spring. If Conwy falls is for you, you might also like to see Swallow falls. 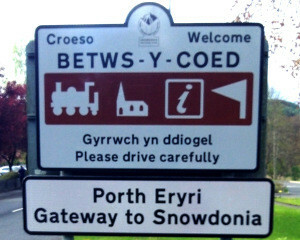 It is also one of the more undisturbed attractions of Betws, drawing people in with its rustic, unrefined natural beauty. The falls sits on the River Llugwy and is the highest Continuous waterfall in Wales. Visitors can watch the falls from a platform for a small charge, but the best views can be seen from the north bank. After a short walk to get there, you will enjoy stunning views of the falls, a photographer’s heaven. There are plenty of other walking routes, one of which will take you through Gwydir Forest to visit the more peaceful waters of Llyn Elsi, or if you’d prefer something a bit more challenging you can always attempt Snowdon, where you could choose some steep and ambitious routes. Betws-y-Coed really is an ideal break away for everyone. The sights of the beautiful backdrop of forestry, water and stone buildings make for a peaceful little haven.